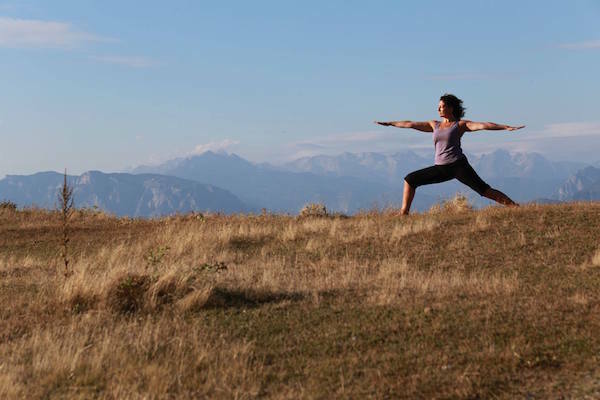 Just as yoga offers limitless possibilities, it has borderless bounds! 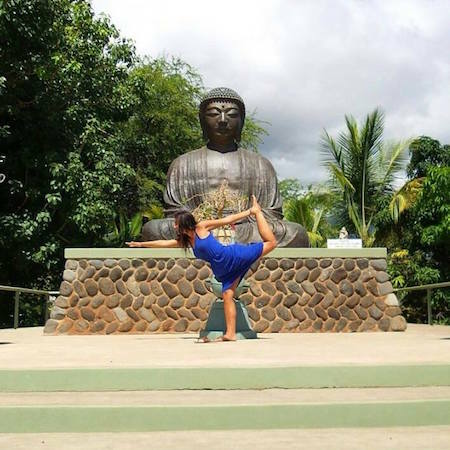 After a few very international selfie-Saturdays over on our Facebook page, we've gotten a glimpse into yoga around the world! 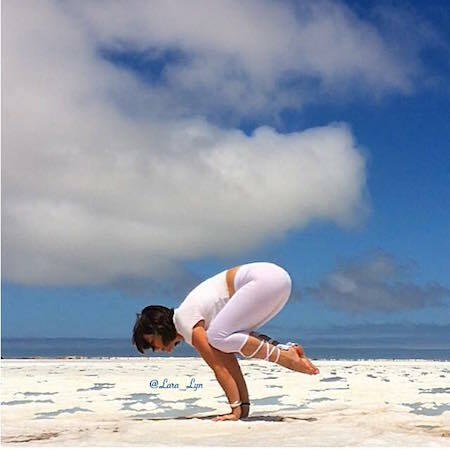 Here are some of our favorite pictures that the DoYouYoga community shared from across the globe. Thanks for all of your submissions! If you see your picture or love a picture, leave a shout-out in the comments below! 1. Ariuntungalag finds her balance in Mongolia. 2. 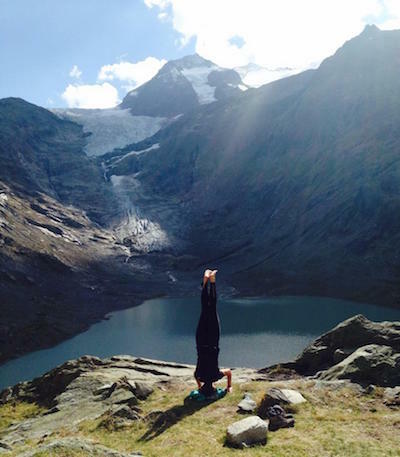 Iza makes headstands look easy in Switzerland. 3. Fearless Sara strikes a paddle board pose in Bora Bora, French Polynesia. 4. Lara Lyn shows us a gorgeous pose and gorgeous Namibia in her photo. 5. From New Zealand, Anna says "kia ora" which is a Māori greeting meaning "be well!" 6. 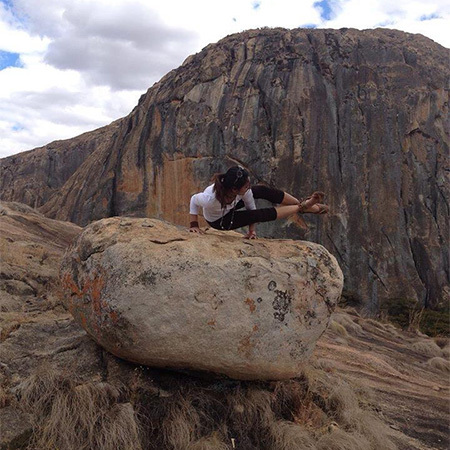 Climbing rocks and doing arm balances, Meera amazes us from Harare, Zimbabwe. 7. Sui sends greetings and a strong warrior from Albania. 8. 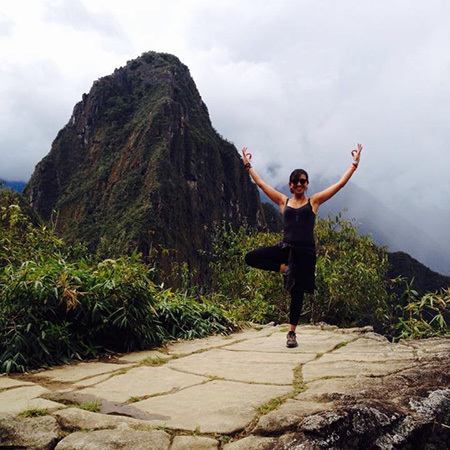 From the heights of Machu Picchu, Peru, Jessica roots down in Tree Pose. 9. 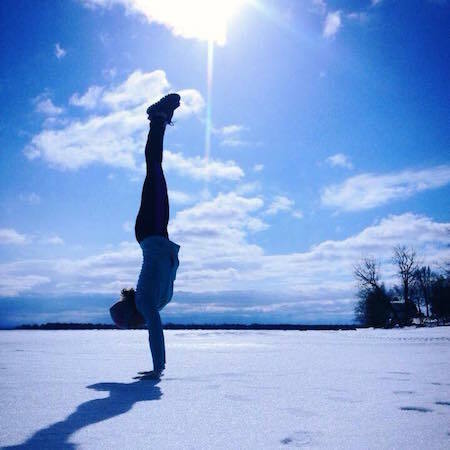 Becki braves the frozen temperatures to do a handstand on Lake Champlain in Chazy, New York. 10. From Plitvice National Park, Croatia, Tara shows us her Wheel. 11. Kerry is experimenting with transit and doing yoga in India. 12. 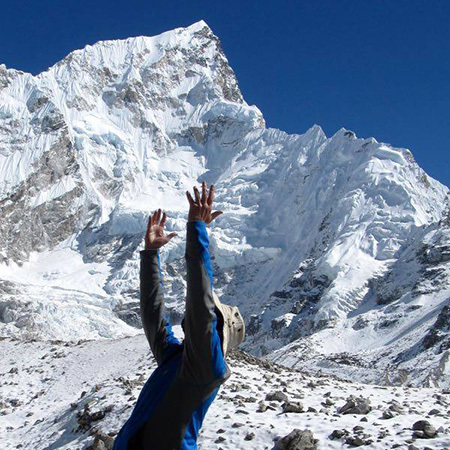 A Canadian yogi poses on Base Camp Everest, Nepal. Go Rod! 13. Maddie says "aloha!" from Maui. 14. All the way from Nova Scotia, Canada, Laura strikes a stunning pose. 15. Dafne shows us her stellar Tree from Mexico. Thank you all for sharing your beauty, sharing your strength, and sharing your yoga! 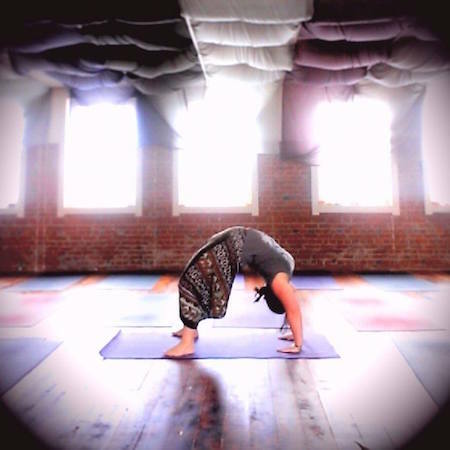 No matter what distances are between us, these photos show the power of yoga to connect with ourselves, with our surroundings, and with each other. Where do you yoga? Share in the comments below!